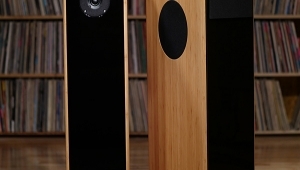 In my May 2009 Follow-Up review of DeVore Fidelity's Gibbon Nine loudspeaker (footnote 1), I said it was quite wonderful. I bought a pair. Though I heard a slight "woody" coloration, I didn't consider that a flaw. In my subsequent conversations with the speaker's designer, John DeVore, he disagreed with my characterization, arguing that what I was hearing was authentic, natural soundthe sound captured on the recordings of acoustic music that I was listening to. What DeVore said was plausible; maybe other speakers I'd heard had failed to capture that quality. And I had to admit that the appearance of the Gibbons could have affected my perceptionthey look very "woody." However, now that I've lived with the Gibbon Nines for almost eight years, listening to them nearly every day, I've decided that I was right: There is something woody about the Nines, and not only in their looks. Through the Nines, certain midrange sounds have a subtle, ever-so-slight closed-in character, although I definitely would not say that they sound veiled or hooded. It's just that when I listen to them (except perhaps with music that has no content that would bring this out, such as heavily electronic music) I'm reminded of resonant wood, especially struck instrumentswoodblock, xylophonebut also bowed and plucked strings: guitar, violin, cello, double bass. Instruments with a woody timbre sound especially wonderful through the Nines. The Nine has been out of production for several years, and was to have been replaced, quite logically, by the Gibbon X (ie, "Ten"). But when I spoke with DeVore around the time of the X's release, he told me that, during the new speaker's development, things had gotten a bit confused: The X began to take on some of the character of the larger DeVore Silverback, while also approaching the Silverback's retail price. (At the time, the Silverback was DeVore's most expensive model.) Meanwhile, DeVore's Orangutan models, which in basic shape and design dramatically differ from the Nines, took on some of the Nines' aural characteristics. The Orangutan O/93, close in price to the Nine when the latter was discontinued, became the Nine's obvious successor, and the X eventually succeeded the Silverback. Apparently, when the Monkeyhaus lights have been turned off, there are some odd interspecies goings-on. I've heard the Orangutan O/93 only briefly, and in unfamiliar rooms. 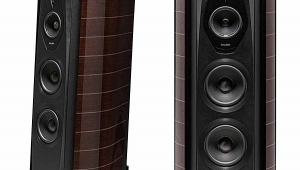 But I've now lived with the Orangutan O/96es for several weeks in my home system, and have concluded that it's a worthy if, at $12,000/pair, considerably more expensive successor to the Nine ($6500/pair when I bought them in 2009), and builds on the earlier speaker's best qualitiesintimacy, easy listenability, that woody qualitywhile dramatically increasing visceral impact. Other audio writers have noted that it takes a bit of work to get the Orangutans set up right. In my case, the opposite was true, and it makes sense: With a wide-baffled loudspeaker, you expect the baffle to matter more and the room to matter less. DeVore brought by his personal pair of O/96es, put them exactly where the Nines had been, and inserted a few business cards to stabilize the standsno screwy spikes hereso that they wouldn't rock at all on the floors of my 1910 Manhattan apartment. DeVore then sat down in my listening chair, played a few test tracks, leaned forward, leaned back, pushed the chair back a few inches, returned it to where it had been, and declared himself happy with the sound. "Very well dialed in," he wrote to me in an e-mail a few days later. Gratifying. The first thing I noticed was that, in much the same way the Nines sound great with instruments with made of resonant wood, double basses sounded fabulous through the O/96es: full, prominent, natural, comfortable. 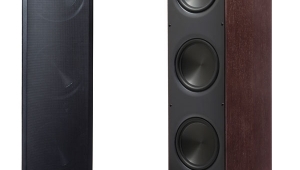 Indeed, hearing the O/96es reproduce bass was a pivotal and educational moment for this audiophile: Was this what bass should sound like? 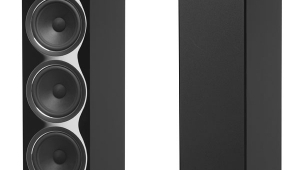 It didn't sound quite like much other bass I've heard through other speakers, and yet I couldn't fault it. I listen to live acoustic music whenever I can, so I've heard a lot of acoustic double bass, unamplified or minimally amplifiedand this is what it sounds like. 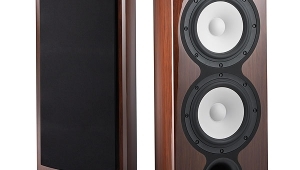 As I wrote in my Follow-Up of PS Audio's BHK 300 monoblocks in the August 2017 Stereophile, which I auditioned with these DeVore speakers: it was like hearing a double bass through a wide-open window. And it wasn't just double basses: Due, no doubt, to its 10" forward-firing woofer, the Orangutan O96's reproduction of anything in the bass range was excellent. I don't know if this is common, or a fault unique to my own cranial wiring, but I have a difficult time remembering sounds. Anything I listen to tends to wipe out whatever I heard previously. There's a brief window in which I can make direct comparisons. 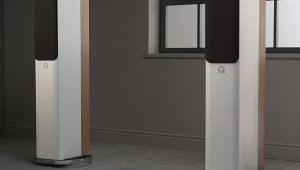 That window has now closedI've forgotten what other speakers' bass sounds like. Now I look forward to the next transition, so that I can compare and contrast it with the O/96for as long as its aural echo lastsand remind myself what other bass sounds like. For now, though, I'll say, tentatively, that the O/96's bass was the best I've heard in my system. What made it so was not speed and slam, but naturalness and ease. 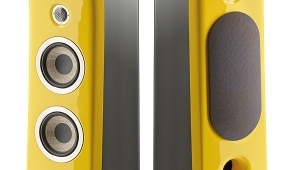 In the bass, the O/96 made other speakersas best I can remembersound as if they were trying too hard. The next thing I noticed was that the natural timbres of bowed strings, saxophones, trumpets played by certain playersanything with rosin, vibrating wood, or metalgot inside my head in a most pleasant way, like an aural massage: They gave me a good buzz, as it were. In this respectthe thing I've most enjoyed about the older speakersthe Orangutan was similar to the Nine, but much more intensely so. This quality extended to other instruments and soundsthe O/96 was simply very good with timbresbut with the particular instruments I've mentioned, it was not the least bit subtle. 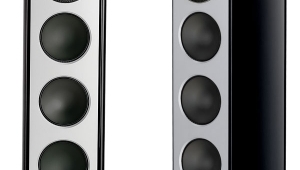 The O/96, then, improved on the Nine's strengths dramatically, in two ways: It was way more visceral with instrumental timbres, and it had remarkable, natural bass. The O/96 didn't require much power. 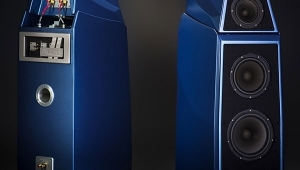 In my listening, the sound was very good with PS Audio's hybrid (tubed and solid-state) BHK Signature 300 monoblocks, which can deliver almost 1000W into loads of very low impedance, but it lost nothing with Leben Hi-Fi's approximately 30Wpc, all-tube, CS600 integrated amplifierthough the tonal balances were significantly different, the lower-powered tube amp being more focused on the treble. The Orangutans surely would be fine with even less power than the Leben provides, but the CS600 was the least-powerful amp I had to hand. 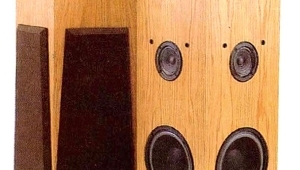 To look at the Orangutan O/96s, with their old-fashioned, ultrawide bafflesoutwardly, the O/96 resembles Audio Note's Eyou'd expect them to specialize in tone. They did. But you'd also expect them to be polite and forgiving, with a rolled-off high end and poor imaging. They weren't. The O/96 didn't sound soft; its high frequencies were extended, with plenty of air, and instruments such as piccolos were piercing. Poor imaging? No way. 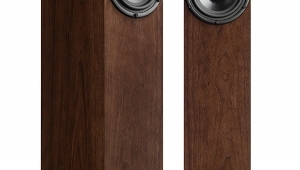 The O/96es "vanished" more entirely than any speakers have in my room, despite their wide baffles. 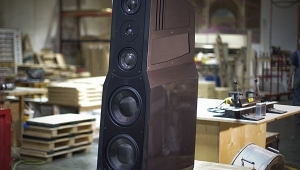 With recordings that preserve a wide soundstage, outside-the-speaker imaging was common. Soundstage depth seemed similar to the Nines, though images placed deep on those stages seemed more corporeal with the newer, fatter speakers. As I wrote earlier, John DeVore considers the Orangutan O/93not the O/96the natural successor of the Gibbon Nine. That's mainly because of the similar prices, I think. At $12,000/pair, the O/96 costs almost twice what my Nines cost me eight years ago ($6500), and in the intervening years the inflation rate has been low. That's a big price difference. 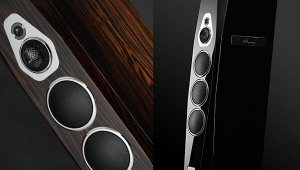 Despite high-end audio's law of diminishing returns, you'd expect a big step up in performance, and with the O/96, you get it. The improvement wasn't subtle. Because they're so easy to driveand hence versatilethe Orangutan O/96 is not an ideal reviewer speaker; it doesn't present enough of a load to test an amplifier. Yet a pair of them did present me with a wide-open, visceral window into the music. This presents an interesting question: Should a reviewer's components be analytical instruments or sources of potential musical bliss? I suppose the answer is, ideally, bothyet to criticize a speaker for being too versatile and too easy to drive is strange criticism indeed. Footnote 1: DeVore Fidelity, Brooklyn Navy Yard, 63 Flushing Avenue, Unit 259, Building 280, Suite 510, Brooklyn, NY 11205. Tel: (718) 855-9999. Web: www.devorefidelity.com.